Work on the edge of the Boundary Waters Canoe Area Wilderness in Ely, Minnesota. 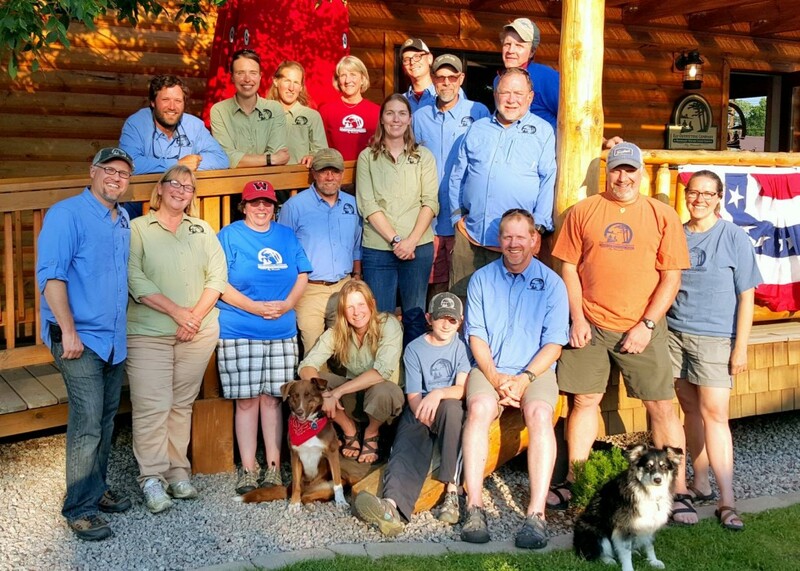 Join our team of great people helping our guests have successful wilderness experiences. Work on the edge of the BWCAW in a close-knit community passionate about wilderness adventure. This position is a great introduction to the Boundary Waters and the logistics of backcountry canoe tripping. Accurately and efficiently clean, organize, and store outfitting supplies. Provide guest orientations and skills training. Safely drive shuttles to wilderness entry points. Provide general shop and grounds maintenance and upkeep. Maintain the highest level of friendly and professional guest services. Ability to commit to at least 10 weeks of employment between May 1 and Oct. 1. Completion of two years of college credit or equivalent experience preferred. Ability to lift and move 42 to 55 pound canoes and equipment regularly, and boats weighing up to 85 pounds occasionally. Desire to learn more about wilderness tripping. Genuine interest in wilderness adventure, and helping our guests have successful wilderness experiences. Potential subsidized housing in Ely, Minnesota, just outside of the Boundary Waters Canoe Area Wilderness, the most visited Wilderness area in the country. Access to canoes and gear on days off. Abundant recreational opportunities in the Boundary Waters and Superior National Forest including day and overnight canoe trips, fishing, hiking, backpacking and stand up paddle boarding. Opportunity to work in a close-knit community dedicated to creating life-changing wilderness experiences for its guests while protecting the wilderness for future generations. Work on the edge of the BWCAW in a close-knit community passionate about wilderness adventure. This is an excellent position for someone with significant Boundary Waters knowledge and experience. Accurately reserve and issue Wilderness entry permits. Provide guest orientations, route outs, and skills training. Accurately handle customer invoicing and payments. Respond to customer inquiries by phone and email. Lift and move 42 to 55 pound canoes and equipment regularly, and boats weighing up to 85 pounds occasionally. Ability to commit to at least 12 weeks of employment between May 1 and Oct. 1. Completion of 3 years of college credit or equivalent experience, with a bachelor's degree preferred. Exceptional communication skills, and ability to work in a fast-paced environment. Knowledge of and desire to share wilderness tripping skills and information. Click here for our convenient online job application. The Gear Manager is responsible for overseeing all rental equipment, company vehicles, and the barn facility in which they are stored, packed, and returned. He or she is expected to create a friendly, professional, and clean environment for guests and staff. Work with outfitting assistants to ensure all necessary equipment is packed out for outfitted and guided trips. Repair or retire equipment as is necessary and order additional equipment when necessary. Ensure all equipment is appropriately cleaned, stored, and its condition noted upon return from trips. Assist guests with securing canoe rentals to their vehicles. Provide orientations to guests that include pertinent information regarding their equipment, wilderness risk management, route considerations, paddling and portaging instruction, and fishing recommendations. Assist with bunkhouse cleaning as necessary. Assist with general building and grounds maintenance as necessary. Assist with shop management as necessary. Ability to commit employment between approximately May and Oct. 1. Wilderness travel experience. Significant BWCAW and/or Quetico experience preferred. Exceptional communication skills and ability to work in a fast-paced environment. Genuine interest in wilderness adventure, and helping guests have successful wilderness experiences. Opportunity to work in a close-knit community dedicated to creating life-changing wilderness experiences for guests while protecting the wilderness for future generations.